Countertenor Tim Mead talks to us about becoming Oberon in the Shakespeare400 year. I was 25 at the time and only just out of music college when I stepped in to cover David Daniels in the title role of Giulio Cesare. When the call came, I simultaneously felt ready and raring to go and completely terrified. Standing in the wings awaiting my first entrance, I could hear the audience groans as it was announced David wouldn’t be singing that evening. Luckily, this only motivated me further and I strode on to the stage with all the confidence and swagger I could muster. 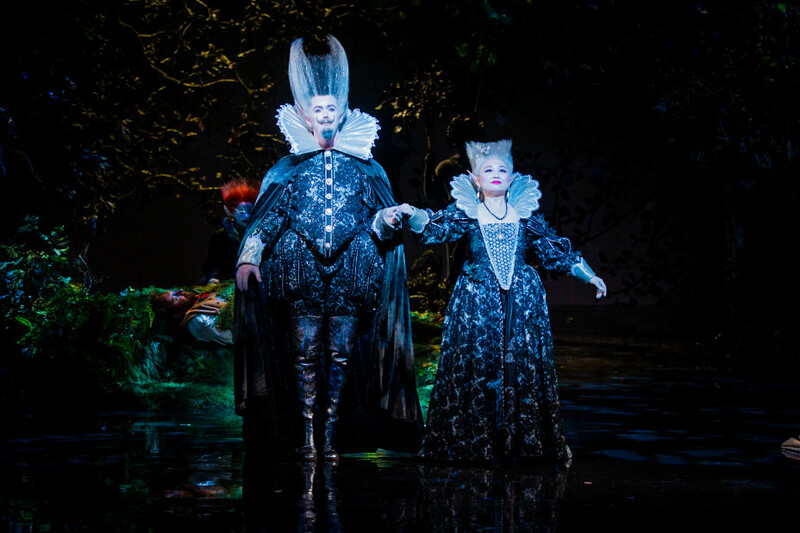 To step into the shoes of one of the world’s great countertenors, in one of the greatest countertenor roles, in David McVicar’s brilliant production at somewhere as special as Glyndebourne really is the stuff of dreams. Every time I return to Glyndebourne, I seem to meet someone who was in the audience that night and I grin ridiculously, reliving the experience with them. This is probably the closest I’ll ever get to performing a Shakespeare play on stage. There’s definitely a frustrated actor within me and I’ve enjoyed the opportunity to speak the lines in rehearsal. Although every time Puck and I ran lines, we always seemed to end up with comedy cockney accents, which undermined Oberon’s authority somewhat! 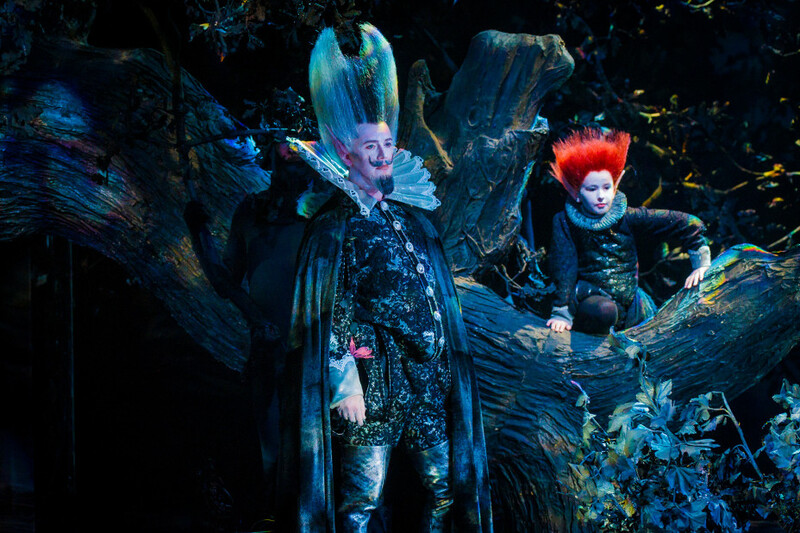 A Midsummer Night’s Dream was the first of many Shakespeare plays I studied at school and still has a special charm for me, whether it’s the play or Britten’s beautiful opera. 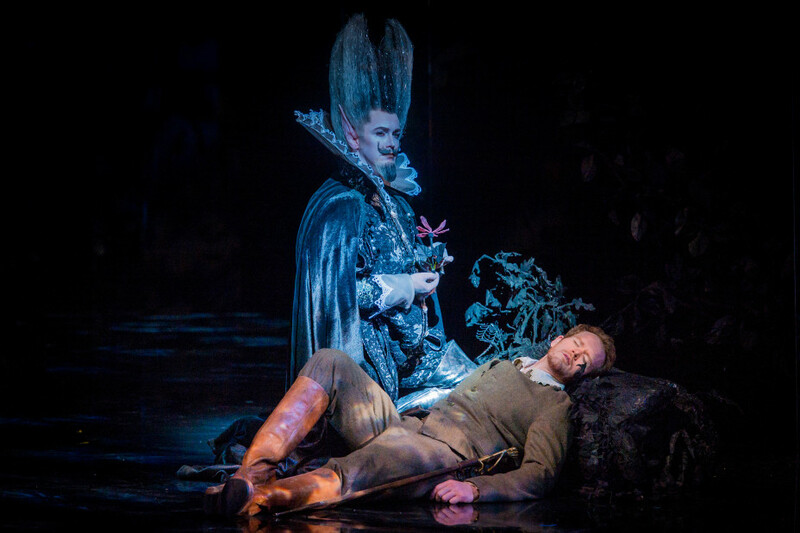 Oberon is a role of mesmeric beauty, but the singer can also fall victim to the music’s charms. Your movements can seem unavoidably slow, and the focus on beguiling beauty can make the character one dimensional. The challenge is to form a more rounded portrayal. Within the music and text you can find glimpses of the ‘real’ Oberon: his power, beauty, aggression, humour and playfulness. But everything is very subtle – there an intentional air of mystery around him. For me the Oberon and Puck scenes stand out. In a way they’re like two naughty schoolboys on an adventure – only one of them has grown and become supremely and dangerously powerful. I love the look of this production. When you walk around the set it appears empty and simple, but once it’s lit it suddenly becomes a truly magical place. The reflections and shadows and subtly moving forest create a place at once mysterious, intriguing and all at ease. I don’t think I’ve ever worn a costume quite as fabulous as the one created for Oberon. From the minute you put it on, you become a certain type of Oberon. It’s heavy and grand – you can’t help but feel powerful in it. It’s also an incredible honour to step into a production that has featured so many great artists over the years. In the role of Oberon I follow in the distinguished steps of countertenor royalty: James Bowman, Michael Chance and Bejun Mehta. I’m even wearing bits of their costumes so it really feels like being part of a tradition. The production was new in 1981 (a matter of weeks after I was born) and I’ve had the video of it on my shelf for as long as I can remember so I like to think I was destined to end up in that iconic wig! This is probably one of the biggest transformations I’ve ever undergone for a role. 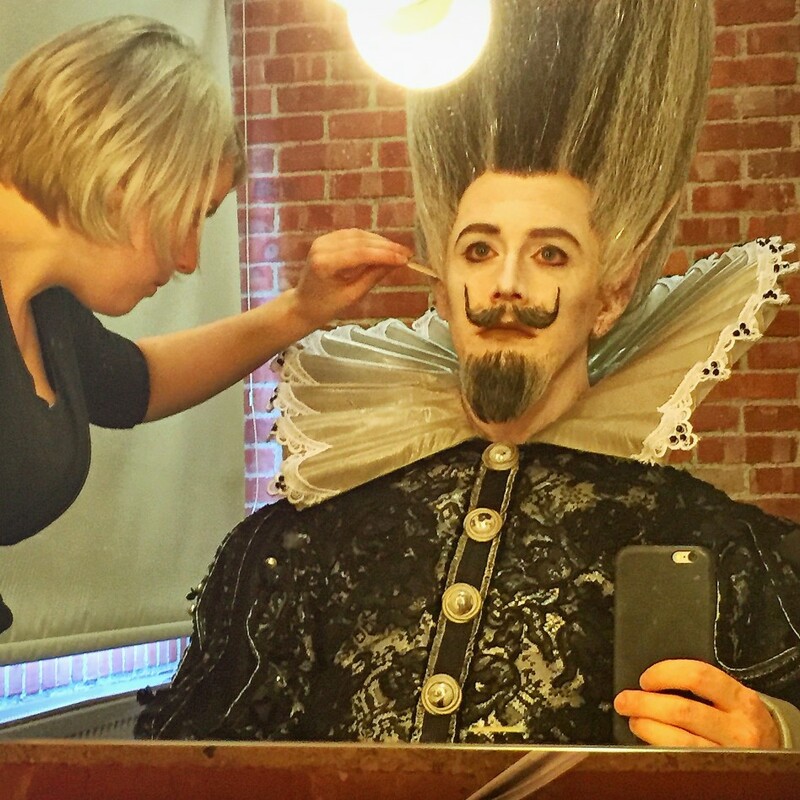 With the huge wig, moustache, beard, ears and white face it’s hard to recognise the person underneath… I catch myself in the mirrored sections of the set and I’m surprised by my reflection! 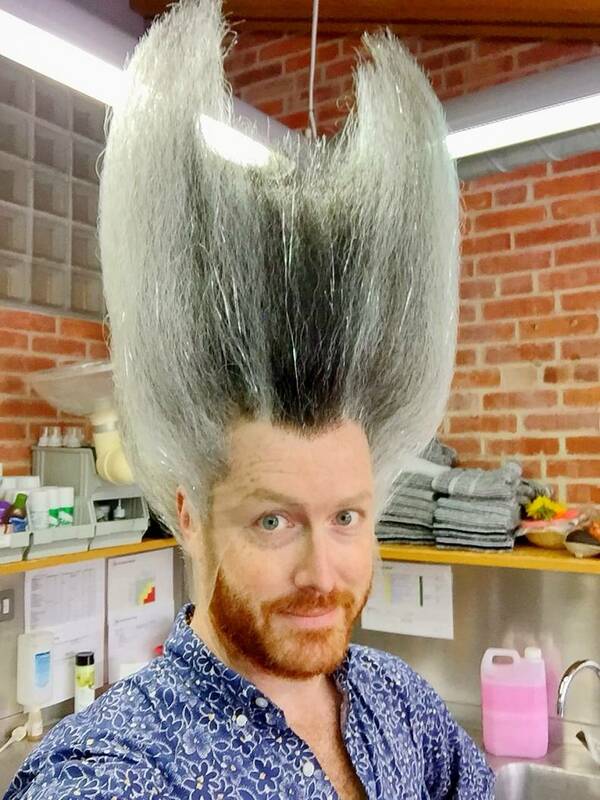 It takes about 60-90 minutes to create the look, depending how much I distract the wonderful wig and make-up team! That’s a long time to be in the make-up chair before a show, but what emerges after all that work is definitely worth it. A Midsummer Night’s Dream opens on Thursday 11 August and runs till the end of Festival 2016.